Alyxia spp. , "Maile" (Familyaceae), a group of fragrant vines and shrubs. 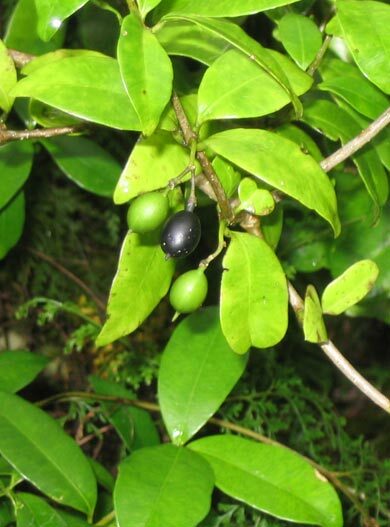 Tongan, Niuean: Maile (Alyxia stellata, Apocynaceae). Tahitian: Maire (Alyxia stellata); also the fragrant fern Polypodium pustulatum, Polypodiaceae. 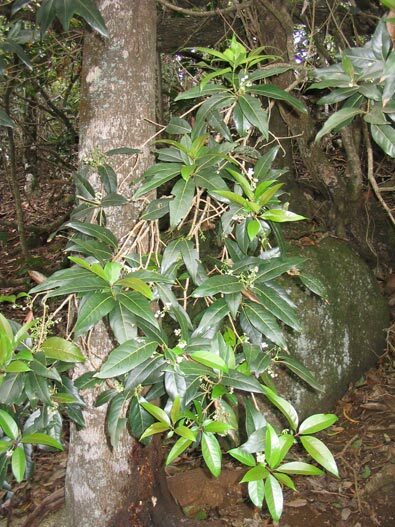 Tuamotuan: Maire hau (Phymatosorus grossus, "Maile-scented fern", Polypodiaceae); Monoimaire (Alyxia scandens, Apocynaceae). 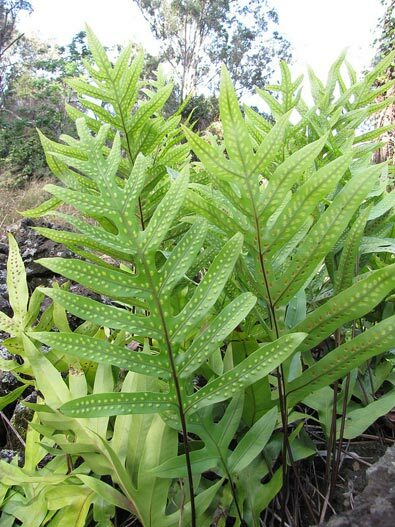 Rarotongan: Maire (Alyxia stellata); also a general name for ferns, applied especially to Phymatosorus scolopendria, "Serpent Fern" (Polypodiaceae). Maori: Maire (Nestegis spp., Oleaceae). 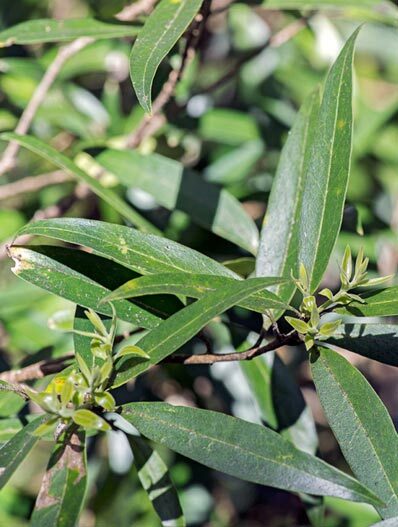 Māori: Mairehau (Leionema nudum, "Mairehau", Rutaceae). The iconic tropical maire (or maile) are the beautifully scented vines of the genus Alyxia, transformed into garlands for visiting dignatories and other honoured guests. By association the name has been transferred to a variety of plants, from vines to ferns and tall trees, sharing some of the Alyxias' salient features, especially the fragrance or the olive-shaped fruit. The Niuean and Rarotongan translations of the Bible use reflexes of *maile to represent hadas, the Hebrew word for the common myrtle, Myrtus communis, important ceremonially and as a symbol of peace and tranquility. There is some discussion of this usage on the page for ramarama, the Māori name for a shrub (Lophomyrtus bullata) closely related to the Middle Eastern myrtle and a surrogate for that plant in Biblical translations. Further information : (See the works on Hawaiian plants and other tropical flora, and New Zealand trees, listed in the Bibliography). Photographs: As noted in the captions: Kim and Forest Starr, Starr Environmental; Jeremy Rolfe, NZ Plant Conservation Network. Others by R.B., Te Māra Reo.